Katie Simpson: Ambassador, first I want to say thank you for joining us today. We really appreciate this. Ambassador Lu: I am very happy to receive your interview. Katie Simpson: My first question to you is, what is the current state of the preliminary free trade talks? Are they continuing right now between Canada and China? 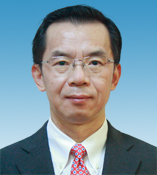 Ambassador Lu: The consultation process between China and Canada’s free trade agreement(FTA) is still going on. Of course, since this is a quite long process, we sometimes have more work to do, and sometimes the workload will be less. China’s position is consistent. We have always been positive about negotiating and signing the free trade agreement with Canada. We are prepared to start the negotiations at any time. Katie Simpson: When Justin Trudeau went to China back in December, there had been hope there will be formal free trade talks launched then. Are you disappointed that the formal free trade talks haven’t been launched yet? Ambassador Lu: I believe many people felt disappointed because their expectations had been pretty high. But we also know that it is not simple to sign a free trade agreement. Both governments have to make thorough consideration. The two sides may not reach a consensus at the moment, but it doesn't matter, we can spend more time discussing it. Although we regret that the negotiations were not started at the end of last year, we still harbor optimistic expectations for the prospects of signing the FTA. Katie Simpson: Is there any kind of time line in play here that you want to see trade talks launched by or want to see an agreement done by? Ambassador Lu: China hopes to sign the FTA with Canada as soon as possible, and believes the sooner the two sides sign the agreement, the earlier they will benefit from it. At the same time, we Chinese also have an old saying, “nothing forcibly done is going to be agreeable”. We believe when conditions are right, success will follow naturally. Of course, we know that the Canadian side may have to make some policy and timing considerations before coming to a decision. We can wait for that. We will not force others to do something against their will, nor will we impose our views on others. Katie Simpson: So you don’t want to try to impose this. Do you think that Canada’s been slow to move forward with negotiations because they are afraid of upsetting Donald Trump? Ambassador Lu: I think currently on the issue of foreign trade, the Canadian side is focusing its attention and energy on the re-negotiations of the North American Free Trade Agreement. A government needs an overall strategy for its foreign trade, and it has to consider trade negotiations with different partners at the same time. So we can understand the concerns of the Canadian side. In particular, now both Canada and China are facing tremendous pressure from the United States, and they need to concentrate on responding to it. I believe that China and Canada hold the same position on this issue. Katie Simpson: Would you describe what Donald Trump is doing as launching a trade war? Ambassador Lu: Yes, China thinks President Trump has launched the largest trade war in economic history against China. Katie Simpson: What do you think about that? Is there an opportunity for Canada and China to collaborate? Ambassador Lu: The opportunities, I think, are that China and Canada share common interests and positions on issues such as maintaining the multilateral trading system, advocating free trade, and adhering to economic globalization. From this perspective, we have great potential to collaborate. Katie Simpson: How would you like to see that happen? Is there anything specific you’d like to see happen? To collaborate at this time of a trade war as you say? Ambassador Lu: First, On the international arena, China and Canada should deliver a common voice against unilateralism and trade protectionism. Second, the two sides should implement the concept of free trade and open up market to each other. At the Boao Forum for Asia Annual Conference held in April this year, Chinese President Xi Jinping announced four major initiatives to further open the Chinese market. Subsequently, the Chinese government introduced specific measures, including drastically reducing tariffs on a range of imported goods such as automobiles. And we also announced a greatly reduced negative list for the access of foreign investment. Katie Simpson: The Canadian government recently purchased the Trans Mountain pipeline in the hopes of getting more Alberta oil to tidewater and looking for new markets. Would China be interested in buying some of that Canadian oil? Ambassador Lu: China is of course very willing to buy Canadian oil. I remember that several Chinese oil companies have participated in the Trans Mountain pipeline project. Katie Simpson: So this is something you very much support, and would like to see more Canadian oil get to tidewater. Katie Simpson: Now, what do you think about the protesters who are trying to stop the project? They don’t want to see it happen. Ambassador Lu: To be honest, I am not in the position to make any comments. Because this is Canada’s domestic affair. Some people support a project, but others may oppose it. Maybe they all have their own reasons. As an outsider, I do not have a say on this. Katie Simpson: Do you think it’s appropriate for protesters to try to block the pipeline? Ambassador Lu: For example, they said that the project is not good for environmental protection, and I can’t raise any objections (Laugh). I think Canadians attach great importance to environmental protection, but I also think this project has great economic benefits. Its construction is conducive to the development of the Canadian economy and the exploration of new international markets. Ambassador Lu: Of course I am. This is Canada. Katie Simpson: Would you be comfortable if there’s an opposition in China? Would protesters still be able to express that? Would you be comfortable with that if the opposition was in China? Ambassador Lu: Similar things happened in China too. In the past few years, some cities in China planned to build large chemical projects, and local people also took to the streets to express their opposition. The Chinese government's approach is to conduct a rigorous environmental assessment of related projects on the one hand, and to explain to people the advantages and disadvantages of the project on the other hand. Usually, the Chinese government will conduct a cautious scientific assessment before making decisions on such projects. When it is confirmed that the benefits outweigh the disadvantages, it will decide to implement them, and at the same time, do a good job of persuading the people. The Chinese government emphasizes three principles: the first is scientific decision-making, that is, the decision-making must be correct; the second is democratic decision-making, that is, it is necessary to listen to the opinions of the people; the third is to make decisions according to law, and to implement the project within the legal framework. The Chinese people are reasonable. As long as the government does these three things, they can generally accept the government's decision. Katie Simpson: When the liberal government came to power, Justin Trudeau made it a priority to deepen ties with China. We’ve seen him go to China twice now, but it seems that there’s been a cooling off of that and Canada is more hesitant to get closer given that they’ve stopped the Aecon deal from going forward and there hasn’t been a formal launch of free trade talks yet. Why do you think the Canadian government has sort of cooled when it comes to engaging with China? Ambassador Lu: After taking office, Prime Minister Trudeau did adopt a friendly policy toward China, which enabled China-Canada relations to enter a new and very good period. The development of China-Canada relations is in line with the common interests of the two countries. I believe that the Trudeau government still adheres to the policy of developing friendly relations with China. Of course, it is also possible for Canada to take a deeper look at the development of China-Canada relations, or to consider it in the overall situation of Canada's external relations. China believes that the Canadian government will make a correct judgment. We hope that the development of China-Canada relations will not be disturbed by some noises and outside influences. Katie Simpson: What kind of outside influences are you concerned about getting in the way of the Canada-China relationship? Ambassador Lu: For example, there are various kinds of statements on "China Threat" in the public opinion of the United States, Australia and other western countries. They claim that China engages in "political interference" and espionage activities against western countries. They also say that Chinese state-owned enterprises are "Agents of Chinese government" and endanger the national security of western countries. I think these statements have had an impact on Canada. Katie Simpson: So you think that press in America and Australia is having the negative stories coming out of those countries, and has an impact on the Canadian government? Ambassador Lu: Not only the press in these countries. Their governments have also adopted a less friendly policy toward China. You will know it when you see the recent performances of the Trump administration and the Australian government. But I think the Canadian government has adopted a friendly policy toward China. 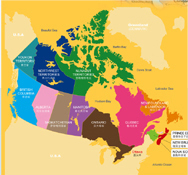 However, the United States, Canada, Australia and other western countries are allies. The public opinion of allies may have a certain impact on Canada. In fact, part of the Canadian public opinion also share the same view. Katie Simpson: When it comes to trade, you mentioned Donald Trump. One point he has really made is being about accusing China of intellectual property theft. Do you not think that the US has a valid point about that complaint, given that to get access to the Chinese market, big firms have to share their technology with the domestic producers in China? Is that not a legitimate grievance? Ambassador Lu: It’s sheer nonsense. China's economic and technological development are not based on stealing, neither on robbery. It relies on the hard work and wisdom of the Chinese people. When the United States blocked China in the 1960s and 1970s, China developed its own atomic bomb, hydrogen bomb and artificial satellite. China has developed its own manned spacecrafts in the face of the United States' rejection of China's participation in the International Space Station activities. Also, China has developed its Sunway TaihuLight Supercomputer in the face of the United States' chip embargo on China. This supercomputer has been ranking first in the TOP500 list for two consecutive years. According to the World Intellectual Property Organization, from 2016 to 2017, China has the world's largest number of patent applications and registrations. I am even surprised by this. As for western companies investing in China, and having technical cooperation and technology transfers with Chinese companies, these are market behaviors. One is willing to buy, and the other is willing to sell, which is beneficial to both sides. China does not have laws and policies that force foreign companies to make technology transfers to Chinese companies when investing in China. Western companies charge more than $13 billion in patent fees each year in China. In the past, Chinese technology may be relatively backward, but this does not mean that it will always lag behind. China also has the right to develop its own high technology. Now the US technology is in a leading position, but it does not mean that it will always lead. If the United States wants to maintain its leading position in technology, it must work harder, instead of resorting to various dirty tricks to prevent China from developing its own high technology. Katie Simpson: So that’s what the US is doing to China. Ambassador Lu: Yes. In fact, the reason the United States accuses China of so-called "commercial espionage", "infringement of intellectual property rights", "technology theft" and so on, is that it wants to set obstacles for China's high-tech development. Katie Simpson: Given all the attention that Donald Trump’s claims about Chinese theft of intellectual property, claims in Australia that there has been political interference, it has led to a negative perception here in Canada of deepening ties. What do you think of that negative perception? Ambassador Lu: This is the negative impact on Canada I just talked about made by some public opinion and government policies about China in Canada’s allies such as the United States and Australia. "Political intervention" is not something that developing countries like China do, but it has always been what western countries are doing to China. This is the “patent” of the western countries. Katie Simpson: So you’re saying western countries are doing interference in developing countries like China? And mostly America and Australia are doing that right now? Ambassador Lu: They are still interfering in China's internal affairs, but they do that in a more covert way. Katie Simpson: Canadians can be uncomfortable with some of the labor standards and environmental standards in China, and when they think about doing more business with China, it makes them uncomfortable. What do you say to Canadians who are uncomfortable with doing more business with China, or doing more trade with China? Ambassador Lu: It’s not true that China does not want to raise its labor and environmental standards. The Chinese government has always attached importance to protecting the environment and labor rights, and it has paid more attention to it in the past five or six years. But because China's development stage has not yet reached the same level as Canada, it is difficult for China to adopt Canadian standards. For example, Canadian workers earn far more than Chinese workers. If China adopts the same wage standard, it will lead to the closure of many factories and an increase in unemployment. In addition, Chinese companies produce a lot of products that western countries need. These products are clean when used in western countries, but they leave pollution in China during production. In fact, China has paid its own environmental costs for the people of the West to live a clean and environmentally friendly life. China also wants to protect its environment. The Chinese government announced last year that it would no longer import foreign garbage since 2018, but it has been accused by the United States, Canada and other western countries as irresponsible. What I want to emphasize is that China and Canada have different opinions on this issue, and it’s normal. It is caused by the differences in the development stages of the two countries. So we should find a "common divisor", that is, a point acceptable to both sides, rather than imposing one side's opinion on the other. Katie Simpson: Canadians have also raised concerns not just about labor and environmental standards, but they are concerned about the way the government of China treats its own citizens and whether that is a fair treatment of the population. What do you say to Canadians who don’t want the government, they want the government to stop doing more trade with China, they don’t want free trade, they don’t want more business because they don’t like the way the Chinese government treats its citizens. What do you say to that? Ambassador Lu: The domestic and foreign policies of any country cannot be exactly the same. Canadians don’t believe that the Chinese government treats its people well, but looking around the world, in fact, the Chinese government treats its own citizens much better than the overwhelming majority of the countries. The Chinese government creates and safeguards a peaceful environment for its people, so that every Chinese has a job, a peaceful life, and is protected from being bullied by others. Besides, the Chinese government pays heed to the opinions of the people in terms of national development, social construction and people's livelihood. According to a poll conducted by the Pew Research Center in the United States, more than 80% of the respondents in China expressed satisfaction with the Chinese government, which is the highest among the dozens of major countries in the world surveyed by the center. The American people’s satisfaction with the US government is quite low. I don't know how some people came to the conclusion that the Chinese government does not treat its people well. Katie Simpson: This would be my last question. But in America, you can openly dissent its democracy, you are allowed to express opposition. In China there will be punishment for those who are expressing opposition to the government. We’ve seen example after example. Do you not think there’s problem with that? Ambassador Lu: China also allows people to criticize the government. If you check the Chinese websites, you will find a lot of criticism of the government. But no country has absolute freedom of speech. Freedom of speech cannot violate the law and cannot harm the interests of the country and the people. Isn't it true that people are not allowed to spread terrorism in the United States and Canada? Because you believe that spreading terrorist speech is an act that jeopardizes national security. Are words violating or attacking the constitutions acceptable in the US and Canada? So like the United States, Canada and other Western countries, China is also using laws to regulate citizens' speech and behavior. The only difference is that Western countries regard violations of the law in China as freedom of speech. Katie Simpson: Those are all of my questions. We are running out of tape, too many questions. Thank you Ambassador for your time.